Steven Esposito likens his work to that of an airline pilot. “Market turbulence is somewhat like airplane turbulence,” says Esposito, Executive Director, Senior Portfolio Management Director, and Wealth Advisor for Morgan Stanley. “Nobody likes turbulence, and market volatility is dominating,” he says. And, just like a calm and experienced pilot, Esposito makes it a priority to proactively communicate regularly with his high-net-worth clients to keep them apprised of what is happening and to reassure them that their financial portfolios are in calm, experienced, and capable hands. That’s why he’s the first to call clients when news outlets are reporting on market turbulence. “I’m on the phone before they call me,” he adds. “There is a lot of information and misinformation coming at people from the media and online sources, and people can get confused and concerned about what they are hearing” says Esposito, who heads up The Lake Forest Group at Morgan Stanley. 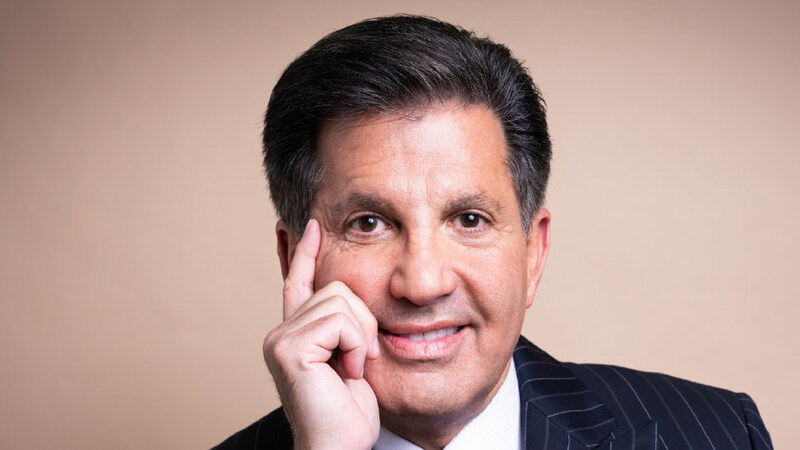 Esposito’s insight and reputation are based on a long personal history in the field, with a 36-year track record of tailoring every portfolio to the specific needs of each client while maneuvering in every kind of market and structuring the wealth management portfolios of individuals, families, and foundations. “Your portfolio is not the same as everyone else’s, and too many people are relying on software programs to navigate volatile market environments and fluctuations,” he explains. Despite the fact that much of the financial industry has moved to software, algorithms, and cookie cutter one-size-fits-all philosophies of investing and managing portfolios, Esposito is a wealth manager who rolls up his sleeves and is involved in the money managing process, proactively managing his clients’ portfolios rather than farming them out. “Everyone’s financial situation is a very unique and personal matter, not only in terms of the finances themselves, but their expectations for themselves, their families, their quality of life, and their financial goals,” he adds. At the same time, Esposito takes full advantage of Morgan Stanley’s state-of-the-art resources and cutting edge technology to combine his 36 years of experience and personal attention with the latest advances in the financial services industry and the infrastructure of one of the largest wealth management firms in the world. “At the same time, it is a boutique feeling here,” Esposito says of The Lake Forest Group. Four years ago, he moved his offices to downtown Lake Forest to be closer to his clients, his family, and the local charities with which he’s been involved for years. He’s invested—with his firm, his community, and his clients with whom he has developed lasting and trusting relationships. “My team at the Lake Forest Group at Morgan Stanley combines decades of experience with the foremost resources and technology of Morgan Stanley seeking to deliver the quality of life you envision for you and your family,” he adds. Beyond Lake Forest and the North Shore, Esposito’s financial knowledge is frequently sought by the media news outlets. He’s been interviewed on WGN TV and radio, ABC-7, Fox News, CBS News, NBC News, WIND radio, the Noon Business Hour on WBBM, and he’s been quoted in print publications like Crain’s, the Chicago Sun-Times, and the Chicago Tribune.